It may seem difficult to believe, but the madness of the festive shopping season really only begins once the big day is over. Sure, people are rushing all over for weeks leading up to December 25th trying to find that perfect gift, but the real money is spent in the immediate aftermath of Christmas when retailers bring their huge money-saving sales events into play for New Year. As you might expect, Amazon is definitely going to be amongst that with its own sales extravaganza, with immediate savings to be had on the official Apple iPhone 7 Smart Battery Case to protect and power that beautiful new iPhone you received. Chances are that if you’ve looked for a protective case for an iPhone in the past, and more specifically one that not only protects your device, but also has additional power backup, then you’ve looked at one of the many options from third-party manufacturers. That could be because you simply don’t like the look of Apple’s official Smart Battery Case, or perhaps more likely, because of the price. 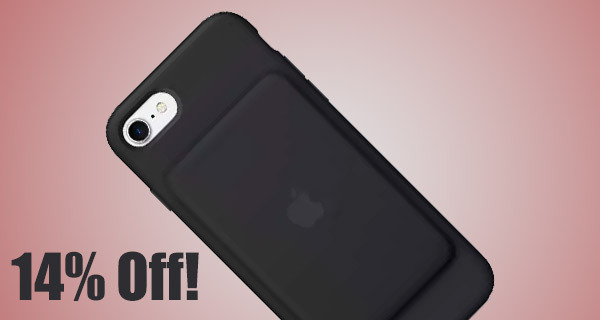 Well, now though, and for a limited time only, Apple’s official case is benefiting from a 14% reduction, taking it down to just $84.99 from $99.00. Parting with that $84.99 will not only get you an official Apple branded power-based accessory for your iPhone 7, but it’ll also introduce additional product benefits into your life. There’s the really cool ability to charge the phone and the case simultaneously with built-in Lightning connector to bring an additional 26-hours of talk time, or an additional 22-hours of Internet use. Apple’s official offering also features intelligent battery status notifications displayed on the Lock screen and in Today View. Those notifications and alerts are designed to show exactly how much life is left in the Smart Battery Case. No more guessing or wondering when your case will die and take your device with it. 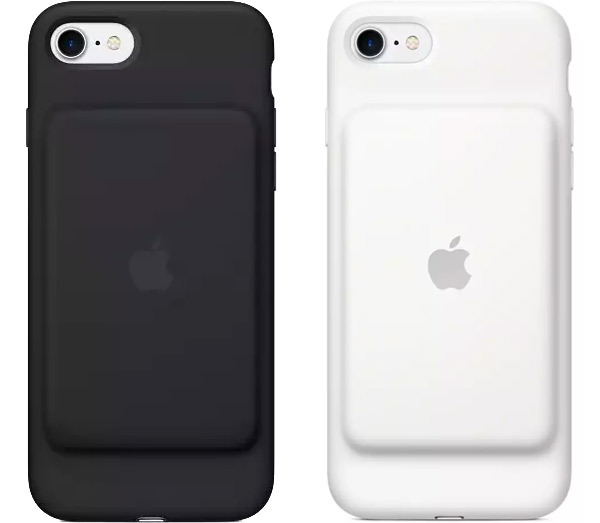 The Smart Battery Case is definitely not one of the most beautiful examples of product design that you’ll ever see, but you can be guaranteed that it will be of premium quality, manufactured to the high standard that we have come to expect from Apple, and will definitely provide value for money, especially at this reduced price. Grab it now in White or Black before the price rises back to its original state. Considering the high proportion of counterfeit “official” Apple accessories sold on Amazon, this is not a great deal, and for most people it is simply not worth the hassle of possibly having to return a fake item. We have verified. This is NOT a fake item. The ugliest battery known to man. Think I’ll have a Mophie but thanks anyway. With a deal like this, I can now afford to buy a house!